TripAdvisor, the bible for curious travelers searching for the best vacation, has announced its 2011 Traveler’s Choice Awards winners. Two Island Outpost properties were lauded in these user-generated honors, The Caves and Geejam. Musically-inclined sister hotel, Geejam, was ranked #8 in Top 10 Hotels for Service in the Caribbean and Mexico. Island Outpost resorts love their guests, and its plain to see that Island Outpost’s discerning world-traveler guests love them right back! 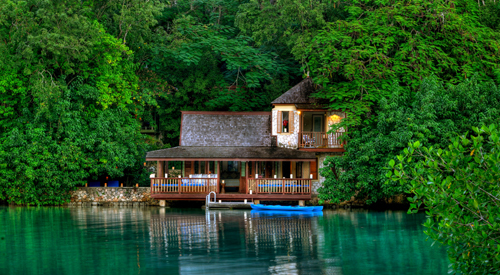 Island Outpost is Chris Blackwell’s collection of award-winning hotels and villas in Jamaica. These include Ian Fleming’s retreat, GoldenEye; Strawberry Hill; The Caves; Jakes and Geejam resorts. Each Island Outpost property has its own singular sense of style – with stunning natural settings and locally-inspired architecture and design – and provides distinct, personalized and authentic local experiences. Guests are treated to only the highest levels of service and a host of beauty and fitness amenities and experiential activities. With sustainable and responsible practices at their core, Island Outpost properties operate in support and harmony with the surrounding environment and the communities in which they are located. For more information about Island Outpost, visit www.IslandOutpost.com or call 1(800) – OUTPOST. We all know that Bob Marley is cool – his melodies are the perfect soundtrack for a warm sunny day with a rum punch in hand. What we may not have known is that his coolness may stem from Jamaica itself! CNNGo recently ranked countries by their coolness, and Jamaicans were ranked third coolest nationality in the world. The reggae tunes, the laid back life style, the effortless use of the word, “mon”… all of these things make Jamaicans pretty darn cool. Americans aren’t too far behind (we ranked #5 due to things like rock n roll, surfing, and Hollywood), but if you want to up your coolness factor, head down to Jamaica and kick back the newly opened GoldenEye with a Blackwell Rum cocktail. Never know what restaurants to try on vacation? The Inn on the Alameda has that problem solved. Its Tasting the City Different package takes its guests through the streets of Santa Fe, starting at the Santa Fe School of Cooking and hitting four uniquely Santa Fe dining destinations. Led by a chef from the cooking school, guests will taste the menus, meet the chefs and owners, and learn about the eclectic mix of old and new in this region’s distinctive cuisine. The package also includes a cooking class, teaching guests to throw some southwestern flair into their kitchens at home. 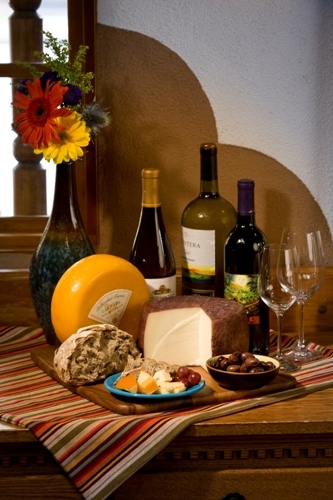 Rates for this package range from $675 to $1302 for two people and include three nights at the Inn on the Alameda, a three hour Cuisine and Culture walking tour, a two and a half hour demonstration cooking class, a $10 gift certificate to the Santa Fe School of Cooking gift shop with a 10% discount, daily continental breakfast, and a daily afternoon wine and cheese reception. The Inn has classic Pueblo-style architecture, emphasized by the Mexican tile, handmade furniture, hand-woven rugs, local artifacts, and Kiva fireplaces. While there, take advantage of the free parking, two outdoor hot tubs, fitness facility, guest laundry, and complimentary Wi-Fi. For reservations and information, contact the Inn on the Alameda at 1-888-984-2122 or 505-984-2121 or at www.innonthealameda.com. For details on the school, visit www.santafeschoolofcooking.com. It’s an amazing feeling to look a 500-pound gorilla in the eye and have him stare right back. Voyage Privé is giving members a chance to experience the rare wild silverback gorillas in Rwanda with a four-night Gorilla Expedition, one of today’s new exclusive offers available on the Voyage Privé website and new iPhone app. The expedition allows guests to follow in the footsteps of famed American zoologist Dian Fossey and includes daytrips led by expert guide Clare Richardson, the CEO of the Dian Fossey Gorilla Fund. The Gorilla Expedition includes two full days of gorilla tracking in Rwanda’s Virunga Mountains bordering Uganda and Congo and a visit to the Karisoke Research Center to learn of Dian Fossey’s role in helping this beautiful endangered species. Aside from gorillas, guests will also explore Rwanda by visiting the local markets of Kigali, climbing the Visoke/Muhavura volcanoes, and enjoying full room and board at the stunning Virunga Safari Lodge and five-star Kigali Serena Hotel. 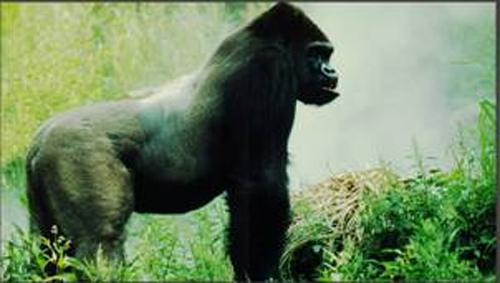 The Gorilla Expedition (June 18-22, 2011) is available on Voyage Privé until midnight on January 28; rates are $4,599 per person, which includes a donation to the Dian Fossey Gorilla Fund. For full itinerary and inclusions, join Voyage Privé here or download the new Voyage Privé iPhone app. My first visit to Nantucket was in April of 2010. It was after a long, cold New York City winter. I was pumped as soon as I landed as there was no snow on the ground and lots of green grass! Another huge plus – NO ANGRY HONKING! It was just after a lazy winter where I did little to no exercise, however under the suggestion of Tania Jones of the White Elephant Hotel Residences, I agreed to test out my wobbly legs by going for a four mile bike ride around Nantucket. My colleague Sarah Winters and I took off from our accommodations in the adorable Cottages & Lofts at the Boat Basin, located right on the wharves of Nantucket Harbor. We were given a map of the island with a personalized four-mile biking path marked out for us by the lovely staff at The Cottages. We took off in a flurry, screaming things like “Biking is fun!” and cycling off toward Sankaty Lighthouse on the lovely, leveled, and paved biking paths. (Fun fact: Nantucket recently received 6.4 miles of newly paved bike and road paths as part of Obama’s stimulus plan). The views from our ride were stunning; large fields of untouched land and huge stretches of blue ocean and white sandy beaches from cliffs near the lighthouse. Toward the end of our journey, there was even a long stretch of field that resembles an African countryside (it’s known as Nantucket’s Sergengeti). While the scenery was beautiful and the path extremely easy to navigate, I was having a bit of trouble kicking things into gear. Sarah was nearly a mile ahead of me! I waved her to down and motioned for her to stop, believing that maybe something was wrong with my bike that was causing me to go much slower than she was. We switched bikes, but the problem remained the same. There was no one to blame, not the bikes, not the paths, only my unfit body! However, after stopping for some lovely water in Sconset, I was able to rev up and get some energy to finish our loop. When I think of my trip to Nantucket, the best memory I have is that bike ride. Biking is by far the best way to get around the island. At around just $30 a day for a bike rental (and complimentary at many Nantucket Island Resorts properties! ), it’s also a great option to save money from paying for car rentals, expensive car ferry tickets, and parking. My one piece of advice? When biking, stay away from the cobblestones on Main Street – it can be quite a painful experience! Finally, I managed to capture a lovely video of a small leg of our biking trip which I am sharing with you now, below. Enjoy! Anantara Phuket Villas was sad to say goodbye to Real Madrid’s all time top goal scorer, Raúl González Blanco, and his family, after their recent visit. A three-time winner of the UEFA Champions League, Raúl has long been the competition’s striker (he left Real Madrid in 2010 to join German Club Schalke 04 after having scored 323 goals in 741 appearances for the team). The villas have become a celebrity haven since opening in 2008. Past all-stars also include, Kevin Spacey, Kate Moss, and Naomi Campbell. If you need another reason to get to the gym, how does some serious eye candy sound? 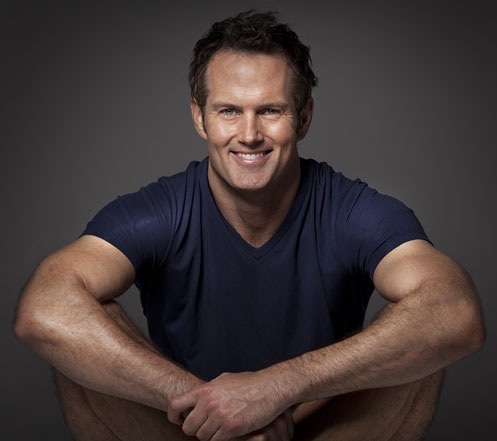 Celebrity trainer Joel Harper will be aboard Crystal Symphony’s Mind, Body, & Spirit sailing May 9-21 to/from San Francisco to lead guests in comprehensive fitness routines. We suggest a little pre-cruise toning as well to ensure a spot as teacher’s favorite pet. Making calls in Vancouver, Canada, and Sitka, Juneau, Skagway, and Ketchikan, Alaska, now you can explore the Great Frontier and leave with a better rear! Christian Delteil has been named Director at Hotel Crillon le Brave, one of France’s most notable boutique hotels. A former chef, Christian will also serve as the leader of the hotel’s restaurant team. The Southern France native brings over 35 years of experience and a profound knowledge of the hospitality industry and French cuisine. Christian established his career with a stint at La Gavroche, a well-known London restaurant, followed by an Executive Chef position at Chewton Glen, where he won his first Michelin star. Over the years, he rose up the ranks and opened his first restaurant, which earned him a second Michelin Star. In the 90’s he became Managing Director of Bank Group Restaurants and most recently worked as a consultant collaborating with a number of restaurants and hotels throughout Europe. As Director, Christian will oversee all hotel and restaurant operations for Hotel Crillon le Brave. The property is a relaxed haven of simple sophistication; made up of seven beautifully restored stone houses dating from the 16th and 17th centuries that are linked by bridges, cobblestone walkways, and hidden courtyards. Embodying the region’s famous southern fare, Crillon le Brave’s restaurant serves up local dishes such as gigot d’agneau (leg of lamb) and filet de rougets (fresh wild sea bass). The hotel offers experiential packages throughout the year, including Truffle & Wine weekends, hands-on cooking programs and participation in the yearly Vendanges (grape harvest for wine). Man and beast have always had a special bond, but at the Elephant Camp at Anantara Golden Triangle Resort & Spa in Chiang Saen, Thailand, the two have collided to form a unique (and melodic) pair. 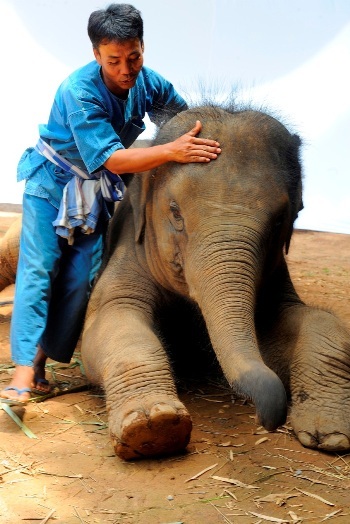 Mahout ‘Khun Lord’ has a special technique of handling the gentle giants through song, as he begins training elephant calves when they are between two- and three-years-old and have an uncanny ability to learn commands. Khun Lord, however, discovered that the little guys responded even better to song. While the other mahouts stared, he continued to sing his lullabies – and he thinks the melodies sunk into his elephant, Lychee, subconscious as she slept. The results: a very well trained elephant and a bond between the pair that you have to see to believe… and maybe to fully grasp. Encore!